"In The Making" and "My Own Shade of Blue" both of which charted to #4 in the USA blues and roots chart when released. Several singles from both these albums have been hugely successful for me. In addition, I released a double album of 20 songs of many different genres, ''Outside of Time'', plus one Spoken Word album ''Only Words'' and several Christmas songs, making a mini album. All the albums and singles ( After 11 years at #1, I am now removing my Reverbnation profile as I find that it no longer serves the interests of musicians. Please see my new Blog page for other comments re this). Both the blues albums were available on CD on release, but sadly life threatening illness and the long road to recovery make it impossible for me right now to have more made. One day, in my dreams, all of this music and more, will be available on vinyl. 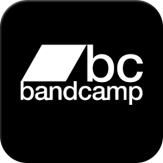 CD Baby and Bandcamp offer you downloads at higher quality than the basic MP3. Thank you if you have supported me already and thank you if you are about to do so. If you have just purchased my music from any of the above Stores, I thank you. Your support means a great deal to me.